Adventures with Melanie | Adventuring! The lighthouse trail is one of my favorites. Its nice and simple. Its also one of the best places to see amazing views all around. Though you find more people on this hike, all the times I’ve been its never been really crowded on the trail itself, now the parking’s another story, it always crowded, but everyone on the trail is nice and spaced out. The trail starts with a steep straightway, that pretty much immediately shows you great views of the beach, and surrounding area. The good thing, is that once you get to the top of that straightway, the rest of the trail gradually winds up, and even flattens out at parts. The trail is nice and paved, and at 2 miles long (there and back) is a great trail for everyone, hikers, joggers, kids, and you don’t have to be an experienced hiker to do it. Since there’s no shading on the trail I would suggest bringing a hat, and making sure to wear sunblock, also, its better to go in the morning. The good thing is, that its nice and breezy so the sun doesn’t make it too hot or humid. After a nice hike a lot of people go to the beautiful beaches in the area, (there’s apparently a cool one that branches off of the hike, but I haven’t been to it yet). If your looking for some good food around the hike, there are some good places to grab something to eat in Waimanalo, like ‘I love Waimanalo’, (they have good mochi), Hawaii Kai has an awesome ice cream place too 🙂 Soo, if your looking for a great hike,(or some great food), the Makapu’u Lighthouse trail is the way to go. Nice and peaceful! Makiki loop trail is one of those trails that is never crowded, in fact when we went there were only a few other locals there. This trail sits in the jungle, giving you beautiful jungle views, and some cool little stream crossings. When we went it wasn’t wet at all so we didn’t have to worry about a slippery trail, which with other hikes you can’t avoid. One thing that I really liked about this hike, besides the hike itself, was that it had good restrooms, a parking area, and an area to clean off your shoes, (I wish more hikes had the shoe cleaning area, especially the more muddier ones). 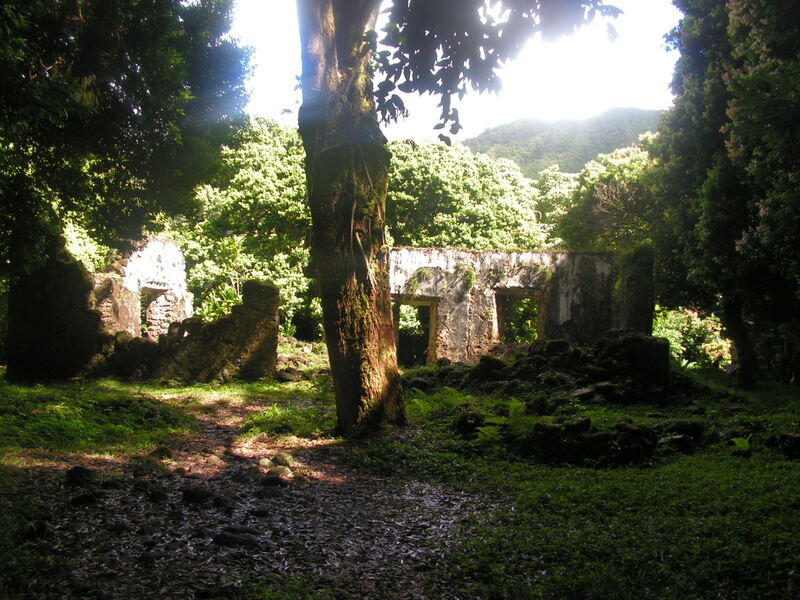 It sits back in a quiet neighborhood area right behind Honolulu, and if I’m not mistaken is really close to Manoa falls. The hike itself as I said is very nice, and well kept. When we hiked it we took the steep way first (yes, there is a steep way!). Though it kinda was a pain to have to do, it made the rest of the hike that much better, because once you get the steep part out of the way the rest of the hike is smooth sailing. Now of course you can always go the other way (which is more gradual), and in the end just have to go down the hill, but I liked getting it out of the way in the beginning. In all this is probably one of my favorite hikes because its very peaceful and scenic. 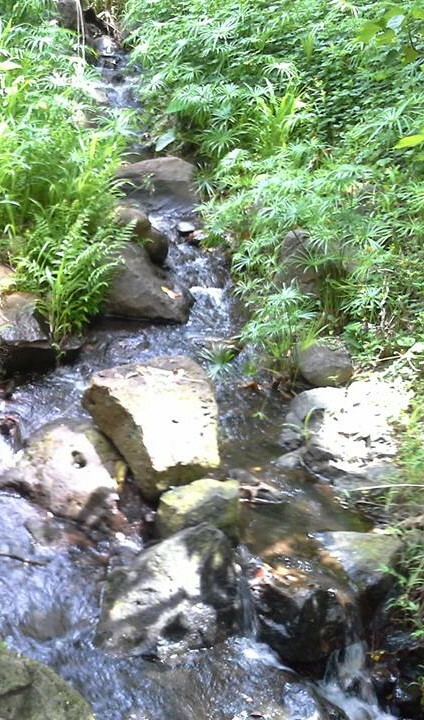 So if you want a more peaceful, quiet adventure, you should try Makiki loop trail! *Oh yeah, and if you want to see some great views of Honolulu, and Diamond Head, take Tantalus Drive, its right by this trail. 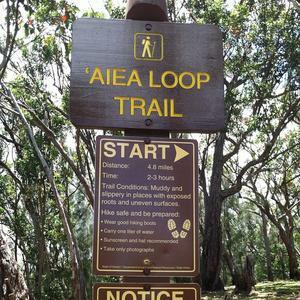 Aiea Loop trail in all was pretty cool, very full of adventure. If you like mountain ridge hikes then this is certainly a hike that you’ll enjoy. When looking for good hikes, besides looking at the hike itself, I always also look for side things such as good parking, restrooms, etc., and this trail had all these things, lots of parking, and basic restrooms, (much cleaner than some of those beach park restrooms). As far as elevation, and length the trail actually doesn’t have too, much elevation gain (except for if you park at the first parking area, then there’s a short steep stretch). The trail is 4.8 miles long. Now one thing that is very important is that the weather is clear when you go. Today its rainy up in the mountains, so after going a few miles in we had to turn around due to the slippery path,( its very high, so its kinda dangerous when wet). Aside from the rain Aiea trail is a really cool trail, in a beautiful area (also very quiet), it has great views, and is full of adventure! September 7th is the Windward 5k and half marathon. I’m really excited because it will be my first 5k marathon run, well the dye run’s that week too (on the first), but it’ll my first serious, strictly run, run! Its still a few months away, which means we’ll certainly be ready to run by then (-in training), it’ll be fun! 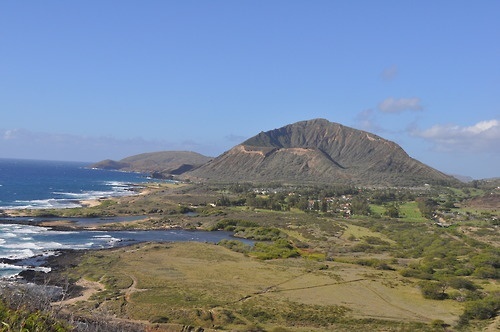 The race will be in Kailua, and the money raised will go to the Windward boys and girls club. For this run you can sign up online, and it costs I’m pretty sure $30.00. per person. Sounds like adventure to me!